Christopher Gadsden served in both the Continental Congress and the Continental Army. Gadsden may not be well known today, but the flag he designed is recognized by Americans across the United States. Christopher Gadsden took to the Patriot Cause early. 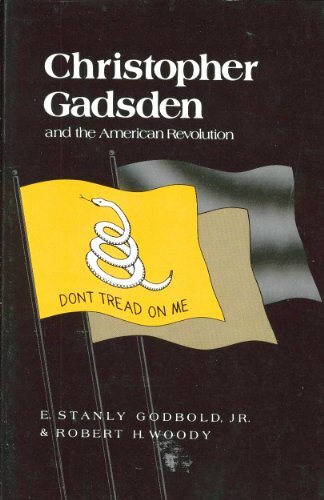 Gadsden was a creator of the South Carolina Sons of Liberty. In 1774, Gadsden represented his colony to the First Continental Congress where he signed the Continental Association. Christopher returned to the Second Continental Congress the following year. When the Congress created a Continental Navy, Gadsden designed its first official flag which flew over Commodore Esek Hopkins’ ship. The Gadsden Flag, better known now as the ‘Don’t Tread on Me’ Flag, has become famous. It’s depiction of a coiled rattlesnake with the words ‘Don’t Tread on Me’ lie on a yellow background. It can be seen flying on countless front yards across America to this day. Gadsden left Congress before the vote on independence to join the war effort. Christopher had already been a Lieutenant Colonel but was promoted to Brigadier General for the South Carolina militia. He served bravely, however, he was taken as a prisoner of war after the Siege of Charleston. Although briefly paroled, Gadsden ended up being taken to a prison in Florida. He was kept in solitary confinement for almost an entire year. Taken back to South Carolina after the Americans won Yorktown, Gadsden quickly began working again for the State government. Christopher was elected as Governor of South Carolina; however, his health was still poor from his prison sentence and he turned the position down. Mr. Gadsden’s last bit of service to his country was as a delegate to the State Ratifying Convention where he supported adoption of the United States Constitution. Christopher Gadsden was an early and enthusiastic supporter of American Independence. Despite serving bravely in the war, he spent a year of his life under harsh conditions as a prisoner of the British. He lasting legacy is his flag, which still continues to fly across the United States. I hope you enjoyed this article on one of America's most famous flags and the man behind its creation. For more articles like this every day, subscribe to my email list. To learn more on Christopher Gadsden, the only serious biography I know of is the one linked below. Pick it up through our link to Amazon and you can support this site at no additional cost to you.